This throw-size quilt is made with three different blocks. 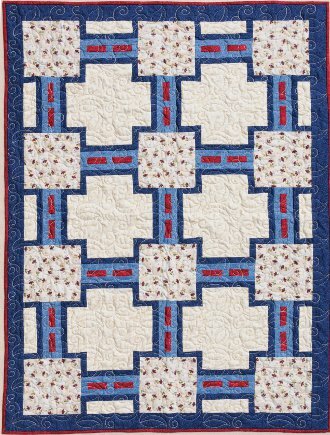 It is a fun quilt for a dorm room or the family room. How cute it would be in bright colors for kids. Finished size is 36" x 49"